Address: 2439 S. Memorial Ave. 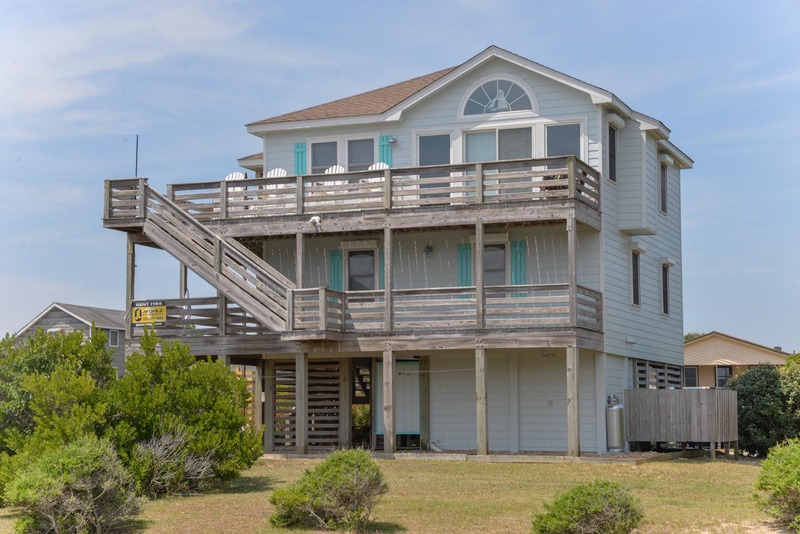 Your family will enjoy spending their vacation in this very nice Nags Head Beach home that provides an outstanding location w/ Ocean Views to match! Nicely furnished & well-equipped w/ expansive decking & a reverse floor plan configuration that maximizes the views. Direct Beach Access (approx. 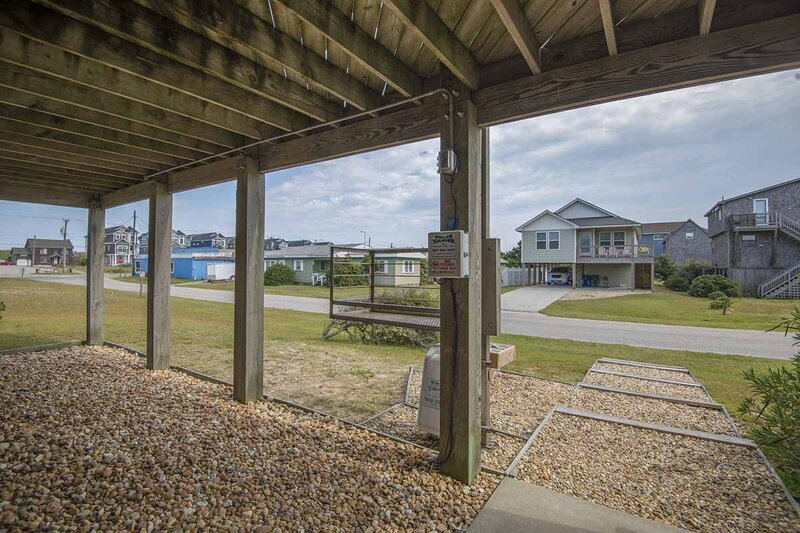 200 ft. to Beach Access), make this home an ideal family vacation choice. An exterior cargo lift makes stocking groceries & moving in & out a breeze. 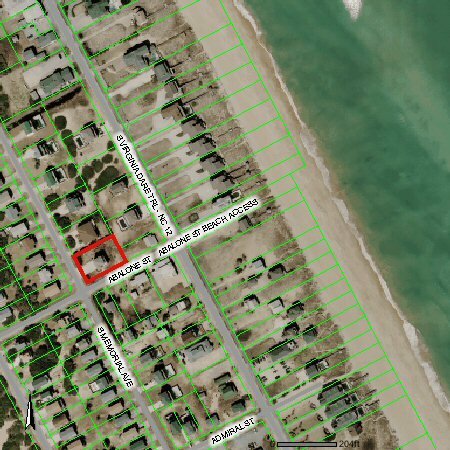 Located in a quiet residential neighborhood within easy strolling distance of the Beach & some of the Outer Banks well known art & jewelry galleries. Like to Golf? Each Rental Guest receives Kilmarlic Golf Club Privileges. Ground Level: Ample Parking, Steps to Mid Level Entry, Stair Tamer Cargo Lift, Storage Room, Enclosed Outside Shower, & Charcoal Grill. Mid Level: 4 Bedrooms (2 w/Queens, TVs, & Shared Bath, 1 w/Queen & TV, & 1 w/Bunk Set & Single & TV), Hall Bath, & a Covered Deck on 2 sides. Top Floor: Spacious Living/Dining/Kitchen Area w/Ocean Views, TV w/Premium Channels, Half Bath, Screen Porch w/Picnic Table, & Sun Deck w/Furniture. Features include: C/AC & Heat, Washer/Dryer, Dishwasher, Microwave, Phone, 5 TVs (1 w/Premium Channels), 3 VCRs, DVD, Video & DVD Library, Games, Wireless Internet, Stereo w/CD, & Ceiling Fans. No Pets. This is a Non-Smoking Unit. Please share with the home owners how nicely stocked the house was. Plenty of dishes, pots & silverware to use. First time in a few years that I didn't need to go into a home & clean dishes, fridge, bathrooms or stove before using it! Loved all the little extra touches such as plenty of towel racks & lines for drying items, the ring toss, access to the closet to play corn hole. Definitely added a special memory to our vacation!